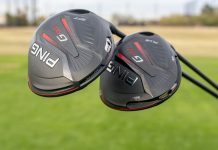 Unless your initials are DJ, JT or TW, who doesn’t want to find more distance with their driver? 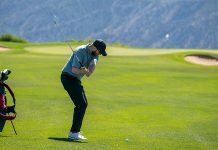 In the age of bomb-and-gouge on the PGA Tour, it seems like more players are beating difficult golf courses into submission with ease every week. 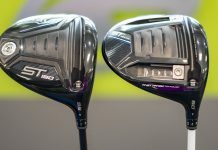 But when it comes to the rest of us and our tee shot prowess? Even all the might in the world seems to send the ball off short and into the long stuff regularly. 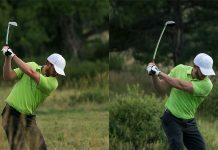 Well, of course the hours of practice and dedication are a huge separator between Tour players and everyone else. 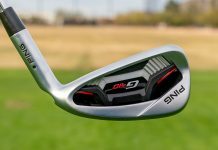 But there’s an important technical component to the best players’ swings that many amateur golfers don’t have, and that’s the vertical movement of the club’s handle through impact. 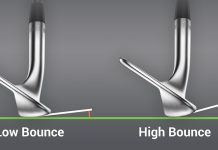 Considering the longest hitters’ swings compared to the shortest hitters’, the make-or-break difference often occurs when the shaft is parallel to the ground in the downswing through impact to the opposite position in the follow-through. 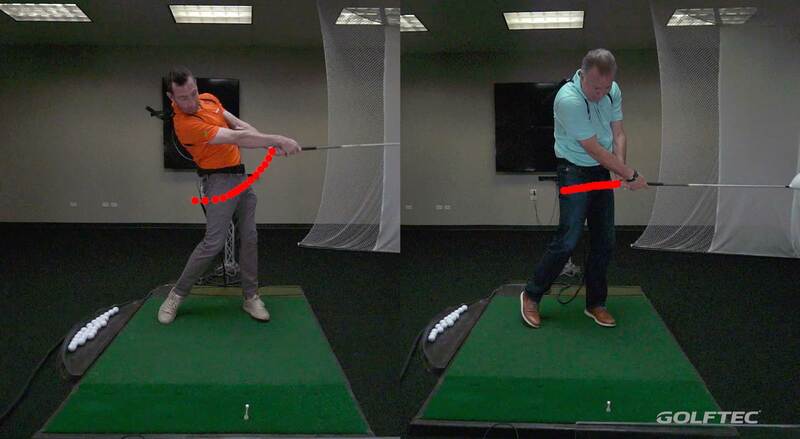 As noted in the image below with the scratch handicap golfer (orange shirt) on the left and high-handicap golfer (blue shirt) on the right, the scratch player creates an upward-arcing movement with the grip end of the club through impact in comparison to the high-handicap that swings the grip end more level. 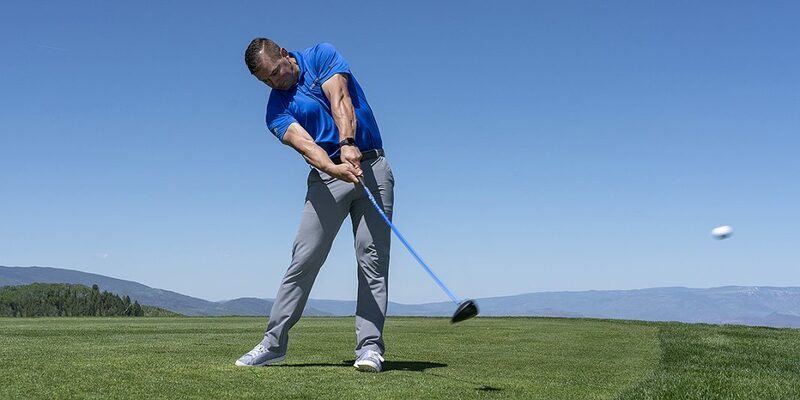 The better golfer’s arms, as a result of the upward movement, remain straight and extended away from the body – a key component of having a lot of clubhead speed and hitting the ball far. 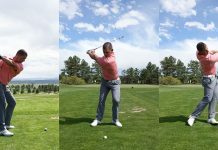 The arms of the lesser-skilled golfer in contrast are bent more and much closer to the body, which not only saps clubhead speed and distance, but also makes it difficult to find the center of the club face. 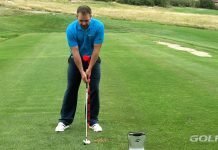 In the video below, Nick Clearwater shares a simple drill you can practice on the range or at home. 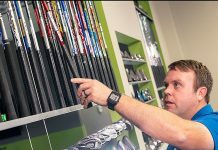 Once you groove the feel of raising the handle through impact with your driver and swinging more like the golfer in the orange shirt, you’ll be wondering how you couldn’t find more distance sooner! 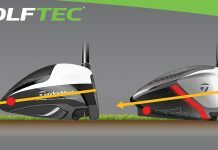 If you’re not sure this tip is for you, talk to a Coach at a local GOLFTEC today!